This special 2-CD collection salutes one of the most legendary figures in American music, beloved Grateful Dead lead guitarist, vocalist and eternal goodwill ambassador Jerry Garcia. Outside the realm of the Dead, Jerry pursued a broad array of folk, bluegrass, blues, and roots rock side projects that fully enriched his storied career. His solo albums capture the heart & soul as well as the rich talents of this incomparable genius. This deluxe package features an in-depth essay from Blair Jackson, and all tracks have been remastered in HDCD by Joe Gastwirt to sound better than ever. 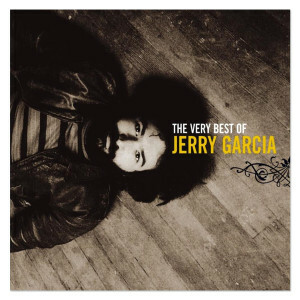 Any Jerry Garcia Band recordings are must haves, and this no exception. You’ll love it! This album is everything I was hoping for and more. Great song selection and clean, crisp sound. Jerry at his Best !! Best Of albums are many time just hits, but the people who put together the Dead related ones have their stuff together. The studio CD is a lot of the hits, but it flows so well it's unbelievable. The live CD has things that are more uncommon, and are very tasty. I'd heard Reconstruction's Dear Prudence on YouTube, and it was muffled. This versionn is clean, and beautiful. If you love, or just like Jerry, this set is worth your hard earned cash. I forgot how much I love his solo music. What great memories it brought back seeing him live! A great compilation covering both his recorded solo music and some great live tracks, which is where Jerry truly buttered the bread. Love to see this issued on vinyl but grateful for these two great CDs! What a great compilation! Now I don't have to lug a huge CD book to the car everytime I've got somewhere to go. I've got the best of it all right there in my hand! That's not to say that it is a replacement for all the great recordings out there, but it sure is convenient. The Dear Prudence by Reconstruction is especially sweet. From the funky bluegrass version of Catfish John to the very end, this one is so special. The keyboards on Positively Fourth Street made the band sound like some seasoned old jazz quartet playing in the corner of some smoky bar. THAT cut just melted me. I have three Pure Jerry's thus far, but this one is the kicker, though it is a greatest so you don't get full concert flow typical of JGB recordings. Thank you all so much for making this available. This CD is the very best. I loved it. Awsome live tunes on Disc 2, and this is priceless. It really gives you the feeling of live Jerry. Jerry is so much missed. Thank You so much for having this CD at the Jerry Garcia Store. I would buy this compilation just for the "Live" tracks from Disk #2! One of the best compilations ever. "Positively 4th Street" and "Dear Prudence" are worth the money alone! I would give it 10 stars if I could. Go buy this 2-CD set now!!!!! You won't be disappointed...trust me! Copyright © 2019 All Rights Reserved. Musictoday II, LLC, is the seller of all Jerry Garcia merchandise and is solely responsible for all aspects of your purchase.